A bunch of Mozillians are up in San Francisco today as part of our involvement with the SF Green Festival. It’s certainly a new type of conference for us, but when you look at the core values of the various other affiliated organizations there are a lot of commonalities in terms of trying to affect change through community building and grassroots action. We’re also using this as a platform to communicate our “100% organic software” concept, so from a design perspective this gave us a great opportunity to use one of my favorite elements from the Mozilla.com redesign: our little family of egg illustrations. They’re so bizarre and yet, so perfect. We worked with designers Monique Johnson and Rhonda Spencer to create egg-based collateral that included a print ad for the festival guide (below), landing page, affiliate buttons (available for download) and more. There will be Mozilla-related activity at the festival all weekend long, so if you’re in the area definitely stop by and check it out. Mary has a good overview of the details up at her blog. 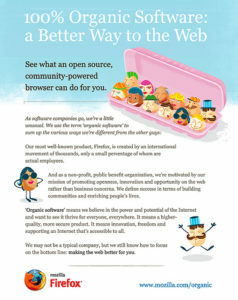 Now that Firefox 3 is out the door, it’s a good time to look ahead to some other projects, like our mobile efforts. There’s also a significantly simplified version that will be used in spots where the fully rendered one won’t work. 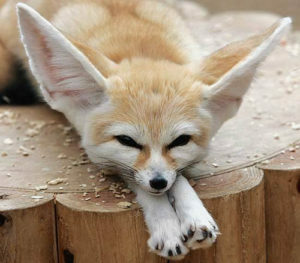 The inspiration for both was an actual Fennec fox, although the image had to be toned down a bit so as not to overwhelm the cuteness filter on most handheld devices. This logo has already popped up in the header of the new about:mobile newsletter…keep an eye out for it coming to plenty of other places soon. 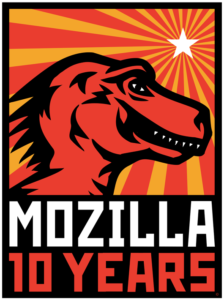 This year’s 10th anniversary of Mozilla is a major milestone, and certainly one worth celebrating with some special imagery. I’m a huge fan of the original Mozilla art created by Shepard Fairey way back in 1998, so the opportunity to do something new in that style was just too good to pass up. Our goal was to create a piece that retained the bold, constructivist graphic style of the original without the “happy worker” Communist imagery that understandably rubbed some in our community the wrong way. If you’re so inclined, there’s a bigger version that’s more suitable for printing, and Tara created six different sizes of desktop wallpaper. 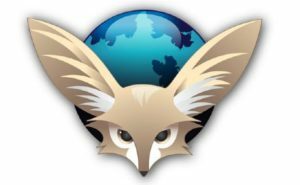 Plans are also in the works for a t-shirt that will be tied to Mozilla Foundation donations…David Boswell will have more details on that soon. Big thanks are due to Lee and Tara for lending their talents to this, and even bigger thanks are due to the thousands of people around the world who, for the last 10 years, have helped to make Mozilla what it is today. Happy anniversary, everyone!